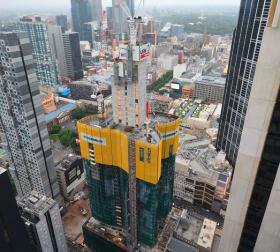 In the city centre of Melbourne, Australia, the formwork solution from Doka and Lubeca is helping build the Aurora Melbourne Central, a luxurious residential tower with a design all of its own. The combination of Lubeca's platform system with the Doka protection screen Xclimb 60 tailored specifically for the Australian market enhances efficiency and safety in the construction process. Every highrise is unique – as is the associated formwork solution. Competence is crucial for developing a custom formwork solution. 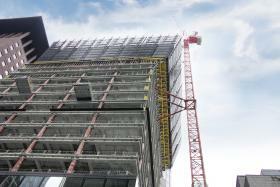 In the highrise sector Doka has more than 40 years' experience with self-climbing formwork. 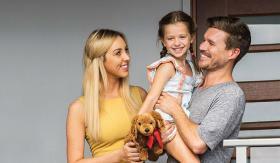 This year, the company will successfully carry out its 1,000th highrise project. 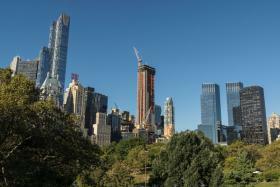 Right now, one of the projects is the Central Park Tower in New York, the world's tallest residential building. High speed on two wheels. That's what has made Upper Austrian motorcycle manufacturer KTM world-famous. But right now at company HQ in Mattighofen, the howl of high-revving motorbike engines is overlaid by the low growl of construction machinery. 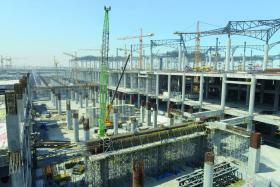 On a 9,500 m2 site, work on the new KTM museum is in progress and should be finished by the end of 2018. 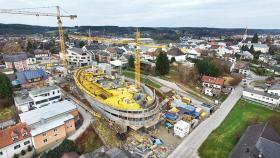 The formwork for the unusual, ellipsoid-shaped building is all by formwork specialist Doka. Good handling and a superb fair-faced concrete finish are the essentials. Global trends such as urbanisation and the population growth are important triggers for innovations in the construction industry. We need to develop greater efficiency in construction processes in order to meet the challenges as regards infrastructure, especially in mega-cities. 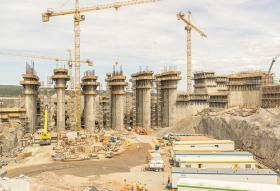 Infrastructure projects for the world of tomorrow are being implemented today using the expertise of Doka. The (business) world of tomorrow needs bright people who will play an active part in designing our future. Education is the best investment here. The Umdasch Group – which forms the holding for Doka – sets a good example by actively supporting a fairer access to education via the Umdasch Foundation. The twin skyscrapers Petronas Towers are among the most famous highrise buildings in Kuala Lumpur. At the end of 2018, the Signature Tower will be a new architectural highlight gracing the skyline of Malaysia's capital city. 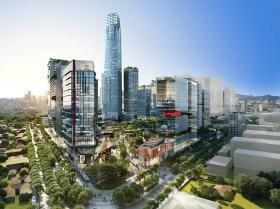 The building will be one of the tallest in Asia and it will rank among the world's top 15. Doka's formwork expertise is very much in demand on this mega-project – another important milestone in highrise construction for the company.